Koreatown is a "walker's paradise," is relatively bikeable and is a haven for transit riders, according to Walk Score's rating system. So what does the low-end pricing on a rental in Koreatown look like these days--and what might you get for your money? We took a look at local listings for studios and one-bedroom apartments in Koreatown via rental site Zumper to find out what price-conscious apartment seekers can expect to find in this Los Angeles neighborhood. Here's this apartment at 3045 Leeward Ave., listed at $1,295/month. In the unit, you'll find hardwood flooring, high ceilings, ceiling fans and wooden cabinetry. Amenities offered in the building include on-site laundry. Both cats and dogs are welcome with additional fees. 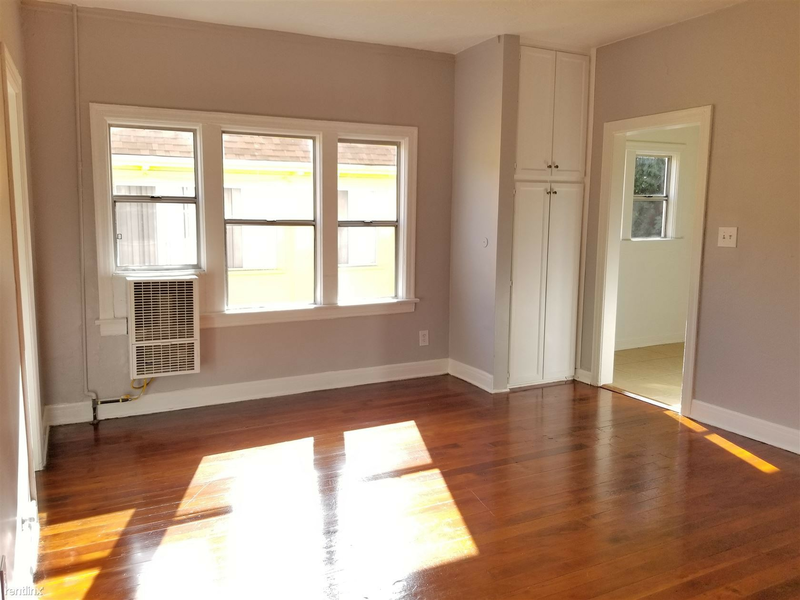 Listed at $1,350/month, this 500-square-foot studio is located at 765 Irolo St. The building features a fitness center, on-site laundry, secured entry, extra storage space and a business center. Apartment amenities include high ceilings, hardwood flooring, a ceiling fan, air conditioning and wooden cabinetry. Good news for animal lovers: both dogs and cats are welcome here. This studio, situated at 917 Fedora St., is listed for $1,350/month as well. The apartment features hardwood flooring, a ceiling fan and wooden cabinetry. Building amenities include on-site management and on-site laundry. Cats and dogs are not welcome. Finally, listed at $1,595/month, this one-bedroom, one-bathroom is located at 833 Fedora St. The unit comes with air conditioning, tile flooring, high ceilings, granite countertops, wooden cabinetry and a dishwasher. Amenities offered in the building include on-site laundry. Pets are considered with a deposit.